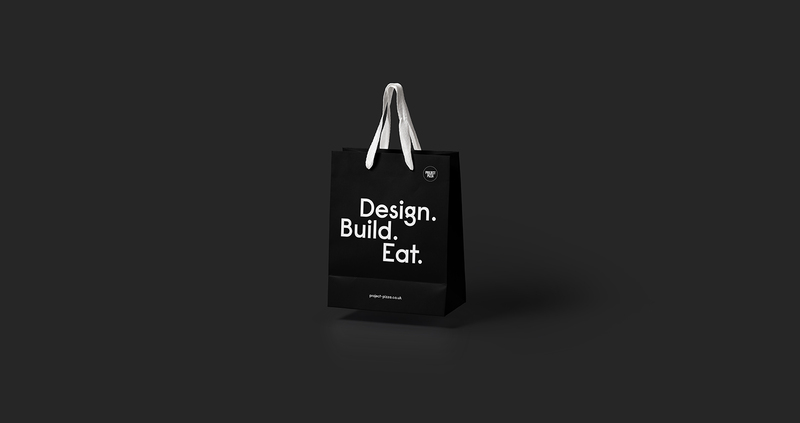 A brand refresh for a new challenger to the high street fast food chain market. 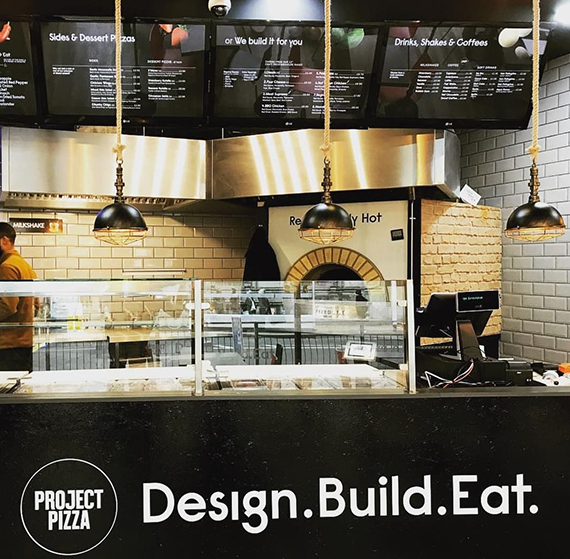 Project pizza offer you the chance to design and build your own custom pizza in store. 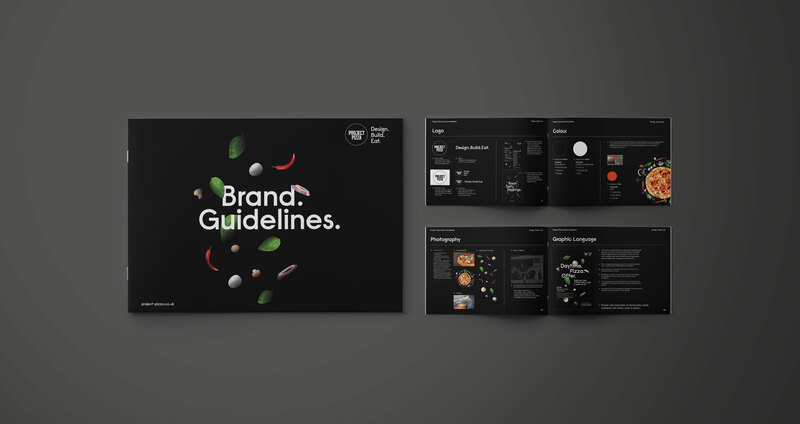 ClearBrand developed brand guidelines alongside menus, on site signage, digital signage and photography. 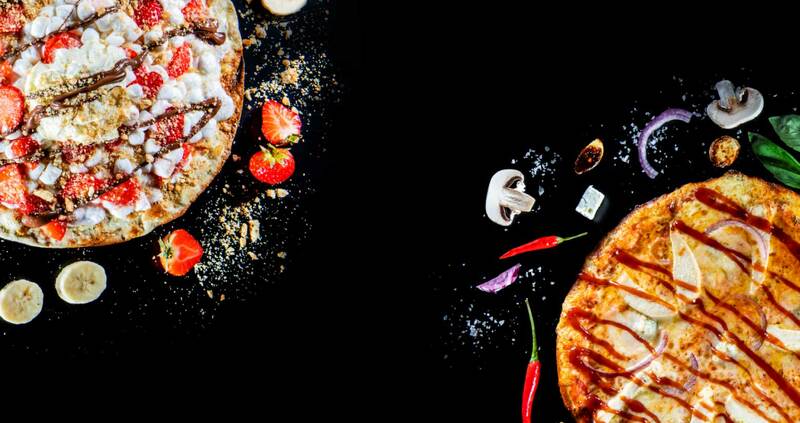 Project Pizza thought outside the box and found a new way to present pizza. You select your base sauce, then from a variety of 30 plus fresh toppings and your pizza is then cooked to perfection in less than 3 minutes. Project Pizza came to ClearBrand having acquired a previous brand from a previous acquired franchise owner. They wanted to retain the black and white theme but had strong ambitions for the rest of the brand. 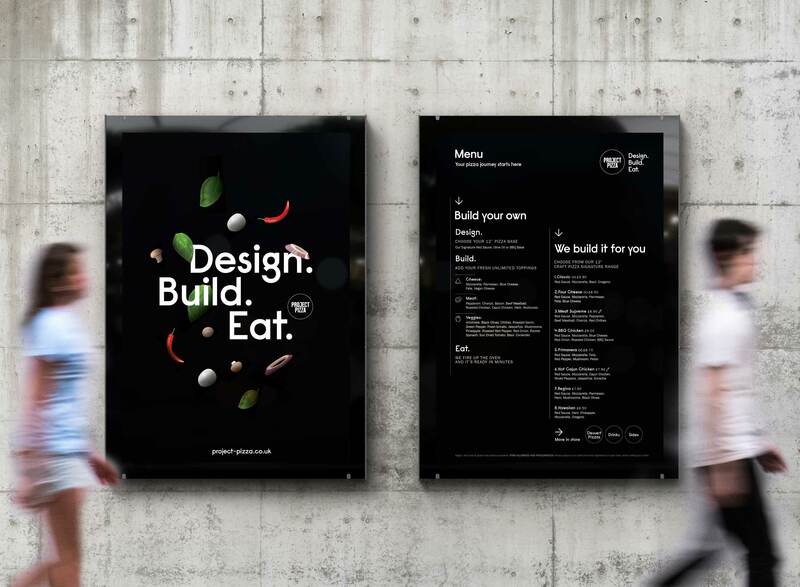 With a clean slate, we decided to focus on Project Pizza’s key selling point; their ‘Build your own’ concept. We were able to restrict colour only to that of their fresh ingredients that make up their pizzas. 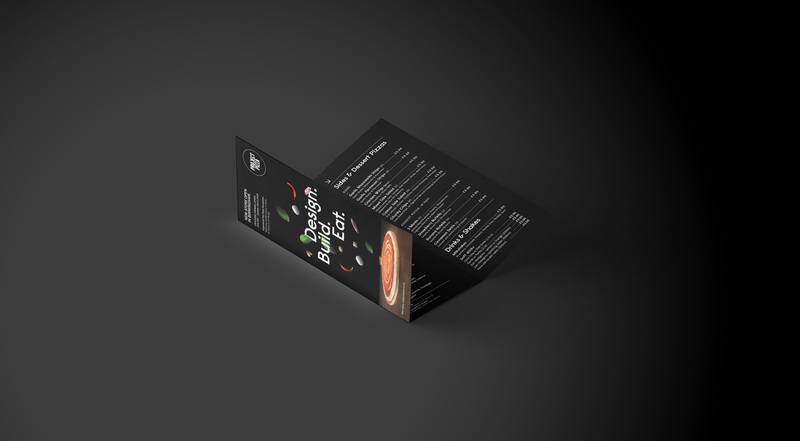 The ingredients stand out from a black background, creating a unique look. We commissioned top-down photography on black slate with ingredients around each pizza to complement the colour scheme. We combined this look with a bold font with character called Raisonne from Colophon Foundry. 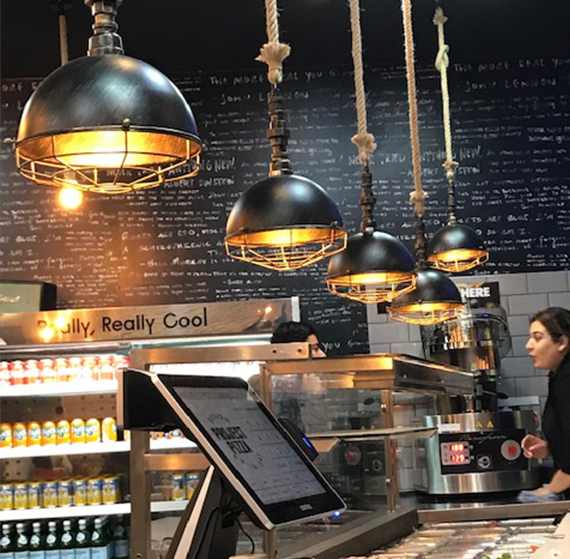 Finally we organised the menu and digital signage to put the “Build your own” option as priority with a better flow to aid users in creating their perfect pizza. 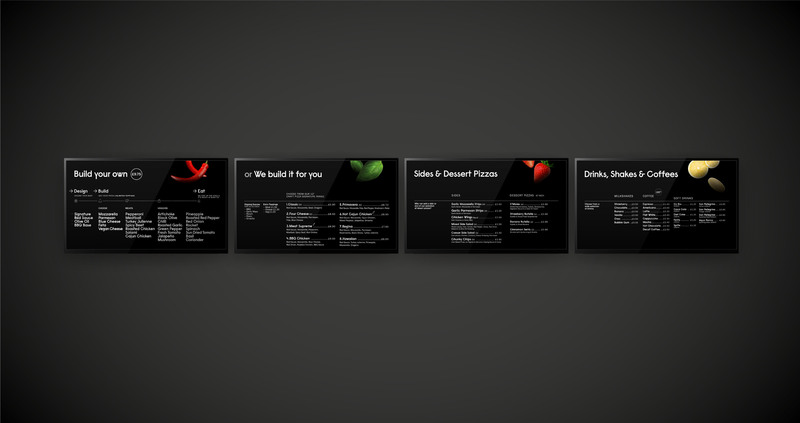 Project pizza have now got a great brand platform to speak to their target audience wanting fresh quick pizza. They are hoping to launch many more stores in the coming months so look out for more from them and us.